New base for Windows 8 tablet production? PC manufacturer Lenovo is set to dive head-first into the mobile market after investing £495 million ($800 million) in a new facility in Wuhan, China. Lenovo is the world's second largest PC manufacturer and now looks ready to take on the lucrative smartphone and tablet sectors. Yang Yuanqing, Lenovo Group chairman and CEO said: "we are accelerating development in smartphones, tablets, and other mobile internet terminal markets." Windows 8 tablet and Intel smartphone? The new base is expected to generate 10,000 job opportunities and will be focussed on "the R&D, production and sales of smartphones, tablets and other mobile devices that will cover the Chinese and global markets". Lenovo revealed its Android-toting K800 handset at CES 2012, the first phone powered by Intel's Atom chip. The K800 is due to arrive later this month and we could see the handset manufactured at the new plant. 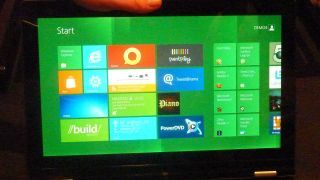 The Wuhan factory could also produce Lenovo's Windows 8 tablet, which could be the first Windows 8 tablet to hit the market in October. Can Lenovo cut it in the already crowded mobile market, or is it arriving too late to the party? Let us know your thoughts in the comment box below.